Assam is one of the most vibrant states in the North Eastern region of India and is full of most of the important natural resources that attracts the attention of many investors to set up their production and manufacturing units in the state. Assam offers a range of lucrative business opportunities in the region. Both the central and state governments have allowed exclusive incentives Assam. These include enormous subsidies to support power, transportation, land and infrastructure development for setting up business in the state. The state has enormous reserves of natural resources. Assam is blessed with abundant river waters, huge hydrocarbon potential, large quantities of low ash coal resources, limestone and dolomite deposits as well as a few other unexplored minerals. The natural climate of Assam is encouraging for plantation crops offering ideal climatic conditions for growing tea and rubber. Assam also possess a vast potential for forest-based industries. Some of the forest resources available in the state including bamboo, medicinal herbs and wood, which are utilised for setting up of forest-based industries. For tourism, Assam offers vast potential. The state is packed with a number of tourist places. Assam is an agriculture based economy. About 75 per cent of workforce is engaged in agriculture and allied activities. 40 per cent of the area in the state is under cultivation. Agriculture alone contributes to 40 per cent of the State Gross Domestic Product (SGDP). The climatic condition in Assam is suited for growth of a variety of food crops, such as paddy and corn. The state also grows plantation (cash) crops, such as tea and rubber. Some of the agriculture base industries developed in the state include; silk-reeling and jute-based products. The huge agro-based industry in Assam offers a favourable environment for the manufacturing of Medium Density Fiber (MDF) boards, which is an ideal substitute for plywood and timber. Assam produces about 51 per cent of tea in India. Tea industry in Assam contributes to a remarkable share of the state economy. tea is grown both in the Brahmaputra and Barak plains. Some of the districts where tea gardens are mostly found in Assam are Tinsukia, Dibrugarh, Sibsagar, Jorhat, Golaghat, Nagaon and Sonitpur. Tea industry in Assam engages about 17% of the workers in the state. Assam is home to one of the world’s oldest and largest Tea Research Centres at Toklai in Jorhat. The world’s second largest Tea Auction Centre was established in 1970 at Guwahati, Assam for better marketing of the tea produced in Assam and other NER states. 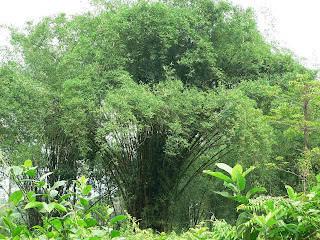 Assam has the maximum concentration of bamboo in the entire North east region. The natural climatic condition makes it possible for the healthy growth of bamboo plantation in the state. Bamboo is put only to traditional use, such as handicrafts and papermaking. A bamboo mission has been announced by the Government of India for promoting bamboo-based industries in the NER. Assam is also a forerunner in the production of medicinal and aromatic plants. The state has a very favourable environment for the growth and development of allied industries as the sate is one of the richest repositories of medicinal and aromatic plants (MAP) in the world. There are more than 300 species of commercially important medicinal plants produced in the state. However the state needs a scientific c approach for the exploration, conservation and value addition in the field of Medicinal and Aromatic Plants (MAP) industries. This offers a huge business opportunity for investors. Sericulture in Assam offer vast business opportunities. The state is home to the production of four unique varieties of silk worms, such as Eri, Muga, Oak Tassar and Mulberry. Sericulture has a lot of potential in Assam and offers one of the highly profitable business sector as the state offers tremendous potential for the development of large scale industries based on silk. Assam state government has established a number of silk processing and spinning units in the state. The state also provides a host of other infrastructure services necessary for sericulture industry. Assam has a potential of over 1.3 billion tonnes of proven crude oil and 156 billion cu. mt. of natural gas reserves. The state offers superior quality natural gas at very attractive price. Assam accounts for approximately 15% of India’s crude output. The oil wells located at Digboi, Duliajan, Sivasagar produce Natural gas, which accounts for about 50% of India’s total onshore gas production. Assam was the first state in India where oil was struck at Digboi in the year 1889. The state is home to the oldest refinery in the country that started commercial production in the year 1901. The Assam Division of the Indian Oil Corporation (IOCL), has a refining capacity of about 3 lakh tonnes of petrol, kerosene, diesel and other petroleum products. The refinery at Noonmati in Guwahati, which is the second refinery in Assam produces liquified petroleum gas (LPG), petrol, kerosene, diesel, furnace oil, coke etc. Established in the year 1962, Bongaigaon Refinery and Petro-Chemicals Limited (BRPL) was the third refinery in the state. The fourth refinery in Assam established at Numaligarh of Golaghat has a refining capacity of 3 million tonnes of oil and other products. Almost all the petroleum producing areas of the Brahmaputra Valley in Assam contain ‘associated natural gas’. These natural gas producing beds are located at Naharkatia, Moran, Lakuwa and Rudrasagar. Duliajan, North Guwahati, Silchar have LPG bottling plants. Another hydrocarbon plant, namely Assam Gas Cracker Plant is also coming up, which has the production capacity of 220,000 TPA of HDPE/LLDPE and 60,000 TPA of Polypropelene. The sate has witnessed about 32 significant hydrocarbon discoveries in the last 4 years or so through private sector/ joint venture companies. The state has a vast untapped potential for further beatification of petroleum and hydrocarbon resources in the region. Assam is rich in mineral resources, such as coal, limestone, iron ore and granite, Fireclay, Lithomarge, Fuller’s Earth, Sillimanite and Glass Sand. The state produces 320 Mn.T. Of Coal, 703 Mn.T. Of Limestone, 11 Mn.T of Iron Ore and 1 Bn. Cu. Mtrs of Granite. The coal found in Assam has a high sulphur content and high volatile matter content. The state has a vast reserve of reserves of about 500 million tonnes of Limestone. 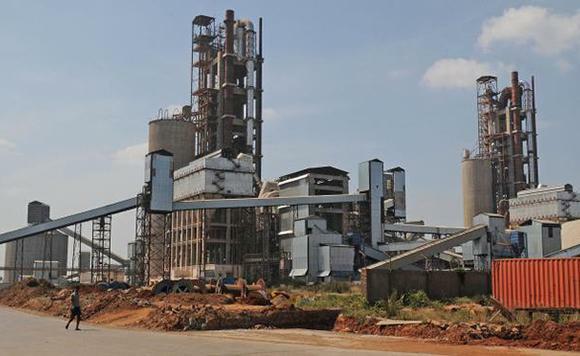 Assam is also produces China clay, which is a vital input for the ceramics industry. There are vast deposits of decorative stone, such as granite is available in various shades and colours. It is estimated to be more than a billion cubic meters are, which have a huge market potential both locally and internationally. There are vast business opportunities available in the state based on minerals, which includes Gasification and Liquefaction of Coal, De-Sulphurisation of Coal, Coal based Power Plant, Coal Bed Methane (CBM) Extraction, Exploration of Oil and Natural Gas and HDPE / LLDPE / Polypropylene based industries. Assam is famous for its wide range of cottage industries. Most of these are in the field of spinning and weaving. The key expertise lies in the production of Pat or pure silk. Assam produces about 10% of total natural silk of India. There are more than 7,00,000 looms in the state. Majority of these looms are primitive foot looms. This gives a very unique identity to the weaving and spinning industry in Assam. Bell-metal work is another traditional cottage industry of Assam. The various products made of bell-metal include traditional plates, cups, tumblers, pitchers, bowls, sarais, dwarf pitchers, pots, hookahs and musical instruments. Brass-work is also an important traditional handicraft of Assam. And, In now a days Assam has got many modern road transport for travelling and carriage of resources from one place to another like Buses,Train,Airplanes and Trucks,etc for transporation of different resources and Now in this Digital world online booking of buses,train,airplanes are done and also trucks can be booked for carriage from one place to another through online truck booking websites like goodsonmove.com provides solution for you to book trucks online for transporation of resources and industrial development after independence has got a big boost in development of assam. No Comment to " ASSAM-Industrial Development Post Independence "